This article is about the character. For the guest star, see Richard Dean Anderson. 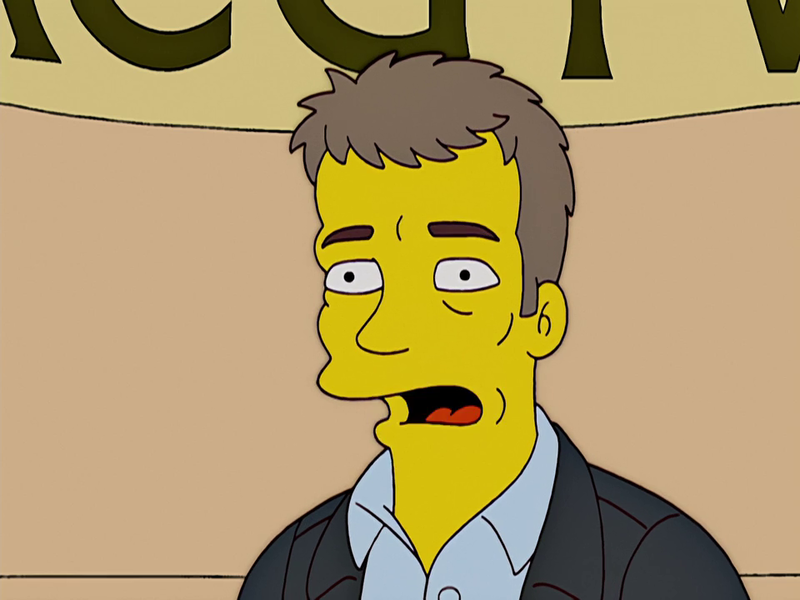 Richard Dean Anderson is the star in Patty and Selma's favorite show MacGyver. Anderson was supposed to go to a Stargate SG-1 convention, as he plays Jack O'Neill in Stargate too. He found Patty and Selma's MacGyver convention instead and stated that MacGyver was just a paycheck to him, upsetting Patty and Selma. In the SG-1 convention, Anderson was kidnapped by Patty and Selma where they tied him up in their flat. He escaped using improvisation and he enjoyed it so much, he kept asking Patty and Selma to tie him up in other means to allow him to escape for fun. They started to get fed up of this so showed him slides from their trips around the world until Anderson ran off. Modified on September 17, 2012, at 13:33.